National Forest Products Week is observed during the third week in October. 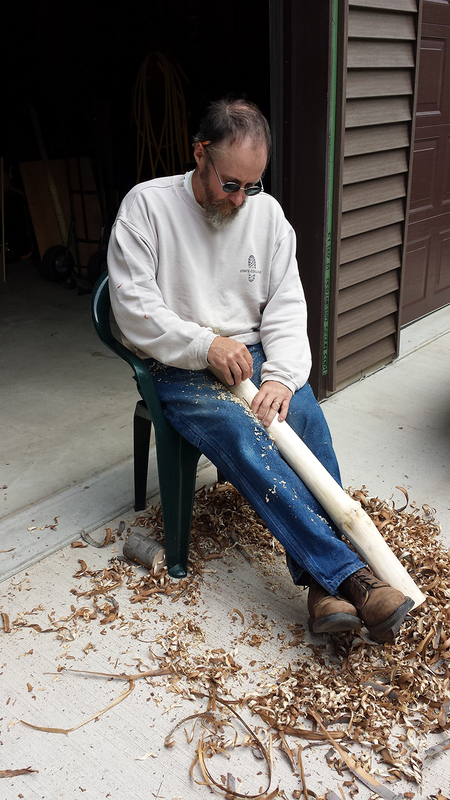 To celebrate this national week, we reached out to a local PA wood crafter, David Corle, Sr, to learn more about his artistic process and interaction with our forests. 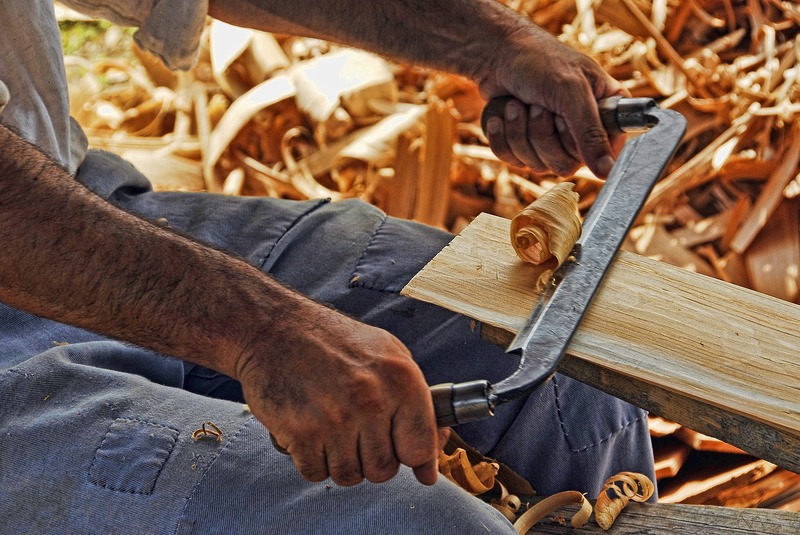 Q: Have you always been interested in woodworking? How did you get started? I have. I like to think it’s in my genes. My great uncles and grandfather, on my mothers’ side, were incredible craftsmen. As for myself, I started working for a local home builder when I was a teen. I fell immediately in love with building. From there I worked for several construction companies and started my own company in 1982. I have had a good run; I’ve met a lot of nice people over the years through my business. 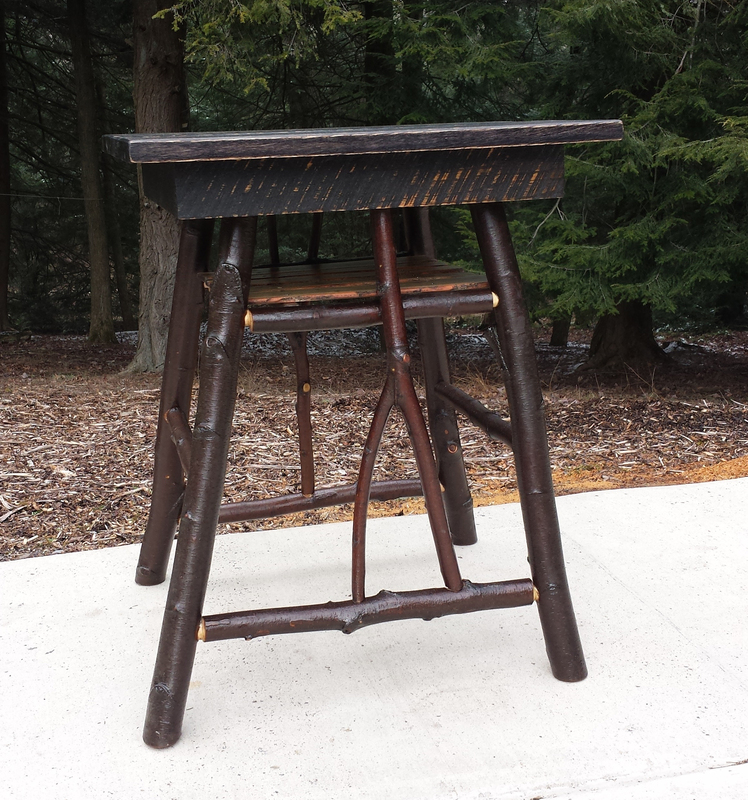 I always enjoyed creating rustic twig and log pieces for my family. 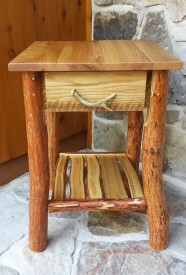 Over the years I have made log beds, various chairs, barstools, and lamps, among other items. Q: You state on your PA Wilds Cooperative profile page that your art “hearkens to, in some respects, a simpler time”; why is this important to you? I was born into a family of six children. I was raised to make do with what was on hand and to create to the best of my ability. This remains true today; at times when creating a new piece I use some unconventional methods. 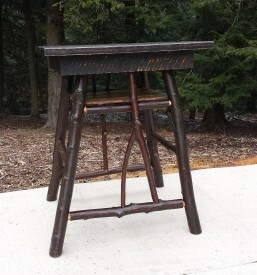 Nostalgia plays a part, but more importantly I find it very rewarding to create pieces with wood-to-wood joinery that allows a sapling to join to the piece in its unaltered form. Q: What is special to you about PA forests? Trees are fascinating; most likely the most versatile plant in nature. Trees provide sustenance, protect watersheds, and provide building materials for our homes. The list goes on. Aside from the practical benefits our forests provide there is the beauty and majesty of a hemlock grove, a stand of oaks and hickories along a ridge-top, or a mountain stream wandering through a thicket of rhododendron. Q: How do you acquire the wood you use for your art? Do you personally harvest it or do you contract it out? I harvest most of the saplings I use for my work in the Moshannon State Forest. This is made possible by obtaining a permit similar to a fuelwood permit. I live harvest to minimize problems with insects. The species that I use - striped maple, red maple, black birch, sassafras - are of little or no value to wildlife. Q: National Forest Products Week strives to bring awareness of the fact that our forests are a vital renewable resource when sustainably managed. What special care or steps do you take to ensure that your engagement with the forest is done in a healthy way? With the gypsy moth devastation, there are areas in the forest where there is only one species growing in a particular area. I focus my harvesting on these areas. I also limit the number of stems that I remove from any one spot. Q: When someone looks at or acquires one of your pieces, what do you hope they feel or learn from it? First of all the joinery, the interplay between the milled aspect of the casework and the rustic, primitive feel of the saplings. I would hope that my furniture brings a little bit of forest, the natural world, into my clients’ homes.